Taking the time to get to know our new clients is very important to us, in fact, it is vital for us to be able to produce the final product that you want. We work with you on the concept; your target audience; the best method to achieve your goals as well as the content for the product. The old fashioned flowchart is a great visual map for any project. The more specific it becomes the better the final outcome. We find the flowchart easily shows the direction and navigation of any application whether it be a website; a phone app or even a specifically designed database solution just for you. We work with our clients from the ground up exploring exactly what needs they have for their business to reach their target audience. This is what we do best. 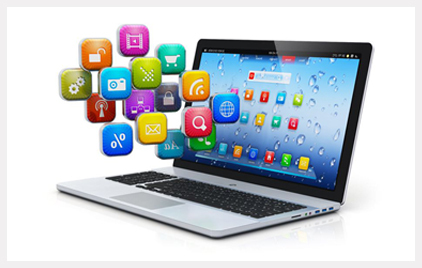 Freom programmers/developers feel it is essential for our Web Based Application’s to be designed to be used by clients/staff and web-users with simplicity of use, responsive with some predictive ideas and an easy to use interface. Our team will work with you to decide if vibrant and eye-catching colour schemes or if the minimal approach with more pastel colours will make the users more comfortable or work with your branded identity to connect all forms of web presence to what we feel is the most important the ease and simplicity of navigating and using the application once your customer starts using your new Web Based Application. A well thought out design, keeping the end user in mind at all times thinking how they will be viewing the application: laptop, smart phone or tablet and using aesthetics as well as functionality are tantamount to a great end product. Here at Freom we offer Smart Phone applications both as a stand-alone product as well as a supplement to our existing website or other web presence. Our team can build cross-platform smartphone applications that will work on different devices or platforms. Smart Phone apps are no longer just for games but they are a convenience for all of us, if you need directions; booking tickets for the latest movie; hail warnings for your new car or general information surfing of the internet. If you already have a website, making sure it is optimized and responsive for smart phone users is definitely an important step in this ever-changing technological world. Here at Freom we offer Smart Tablet applications both as a stand-alone product as well as a supplement to our existing website or other web presence. Our team can build cross-platform smart applications that will work on different devices or platforms. Smart Tablet apps are no longer just for games but they are a convenience for all of us, if you need directions; booking tickets for the latest movie; hail warnings for your new car or general information surfing of the internet. Freom can provide great value to our clients with exceptional, innovative solutions and ideas for the development of their applications with the latest technology and our experience within the industry. Our reputation is built on technical excellence and innovation. Our creative team strives to extend the technological boundaries and brings significant results for our clients quickly. We will develop solutions that will grow with you as your company grows; this is achieved by the carefully structured design plan. We like to believe that our success is due to the success of our clients. Freom has developed MLM Software as a specialty field of expertise. As a result, custom software is available for MLM and Network Marketing companies that can accommodate an unlimited range of products and services, any compensation plan, domestic or industrial currencies, international languages and delivery networks. Freom’s MLM Software provides a complete system incorporating accounts, charging and payment systems and stock control. In essence, this is the only software an MLM company need ever use.